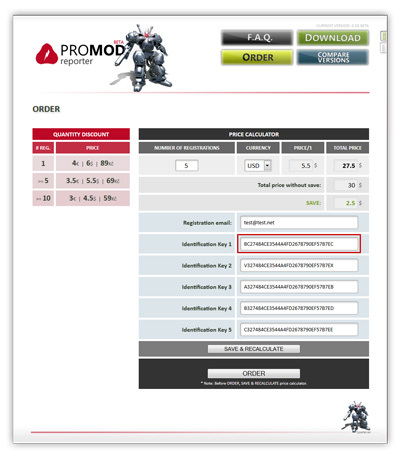 PROMOD reporter used to reading online text information from a game server. 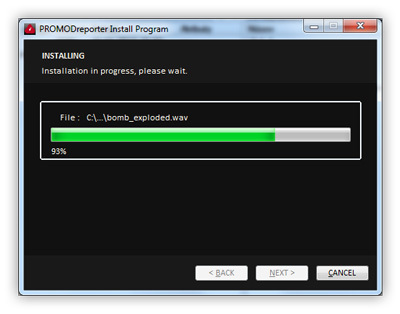 Supported game is Call of Duty 4: Modern Warfare. On this server must be installed PROMOD and turned on SCOREBOT. The server configuration must be set: seta promod_enable_scorebot "1"
SCOREBOT sends events from the server at 10s intervals. PROMOD reporter will then transmits the happenings of the match "almost" live. IP address and port COD4 server where it is installed PROMOD SCOREBOT. 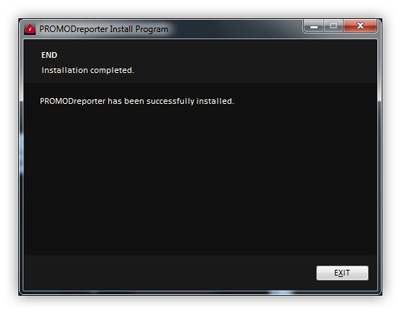 Application has an installer, download the file PROMODreporter_install.exe (6.44 MB) and run it. On some systems will require a reboot, but it is not necessary to carry it out immediately. 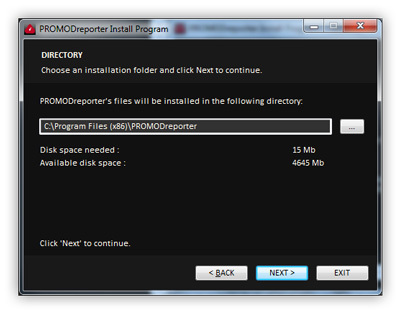 PROMOD reporter start icon on the desktop or from the Start Menu. Set the IP and port of the server and press START RECEIVING. After launching the application appears on the 7 seconds banner, which you can click and go directly to the page with the order. On the same page are also accessible via the button with the key in your application. The Internet browser opens pre-filled with your Identification Key. Choose your language, add email, the number of required keys, currency, click SAVE & RECALCULATE and then click ORDER. If all information is correct, you are sent to the specified email payment information and displayed with a link to pay immediately through PayPal payment gateway. 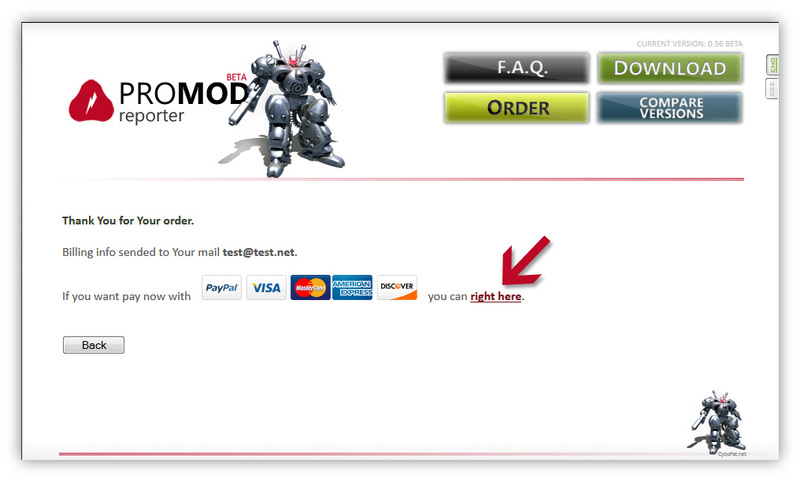 It is also possible to pay without a PayPal account, just with credit card. In case you prefer a transfer payment, you will find the necessary information in your email. But it is also necessary to allow for delays in the order of up to several days. 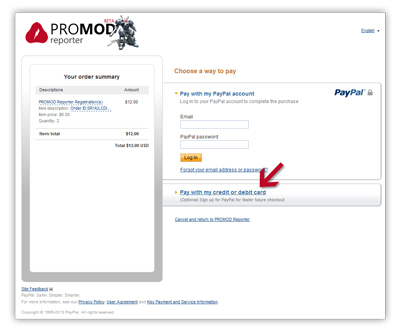 Gateway PayPal, if you want to pay by credit card, click on the highlighted link. 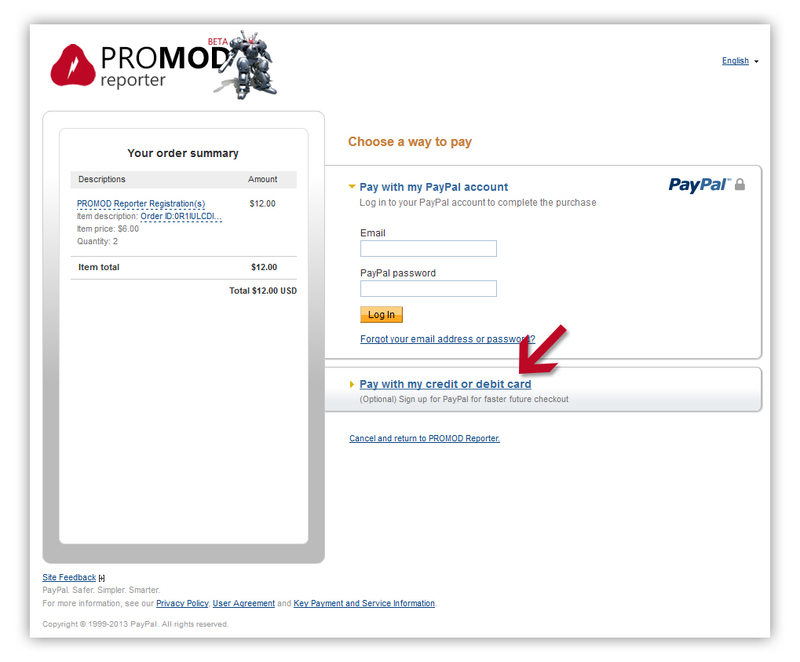 After payment through PayPal you will receive an email within a few minutes with an Activation Key. 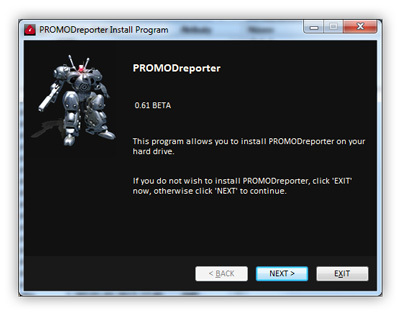 Return to the application PROMOD reporter and press the button with lock. Identification Key of your installation is on the left and in the right box to insert your Activation Key. Once again press the button with lock or the Enter key. If the Activation Key is correct, version information change. The application is now fully functional.